This PICAXE Experimenter Kit is a very versatile bundle for anyone eager to get started experimenting with PICAXE right away. 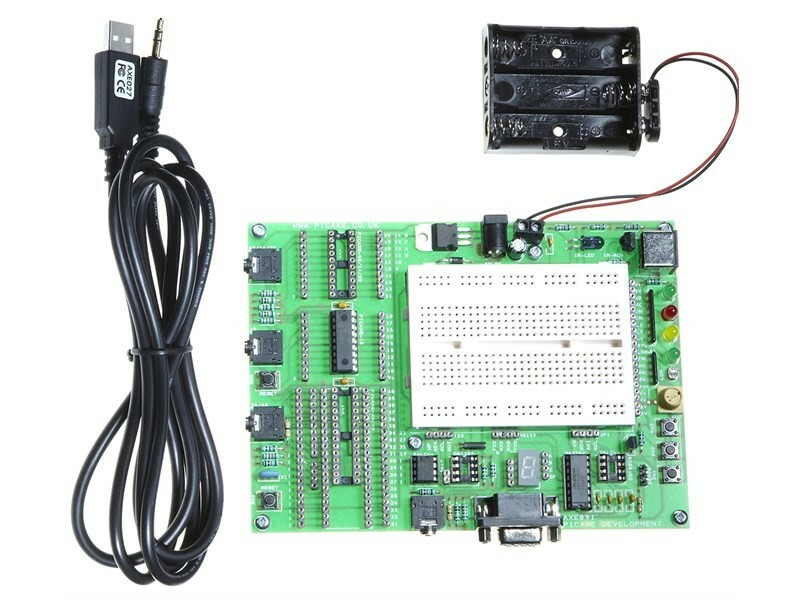 The kit comes with a PICAXE-18M2 microcontroller, but the open design lets you use any of the PICAXE chips, sold separately. LDR and preset resistor analogue inputs. 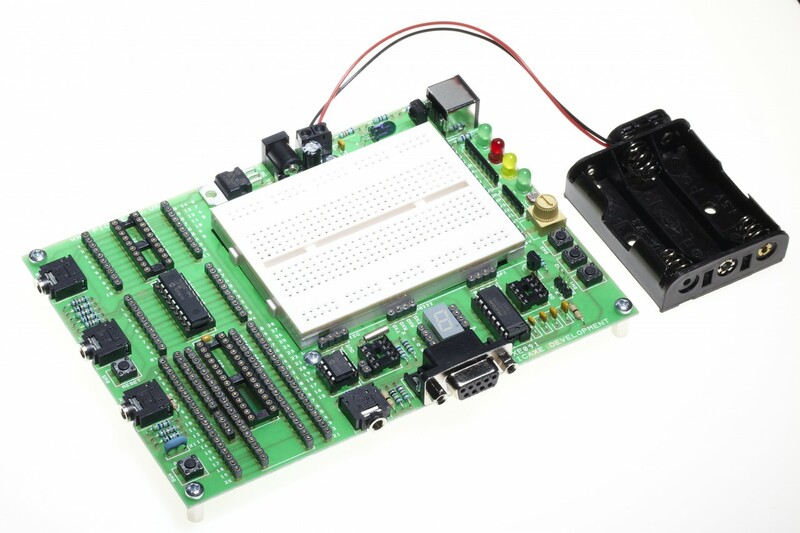 The board can be powered via batteries (battery box included), or an external power supply (sold separately), and the board has onboard regulated power supply, with LED power indicator. The kit includes both this board and the USB download cable. The PICAXE Experimenter Kit can be used with any software application that supports the PICAXE hardware.